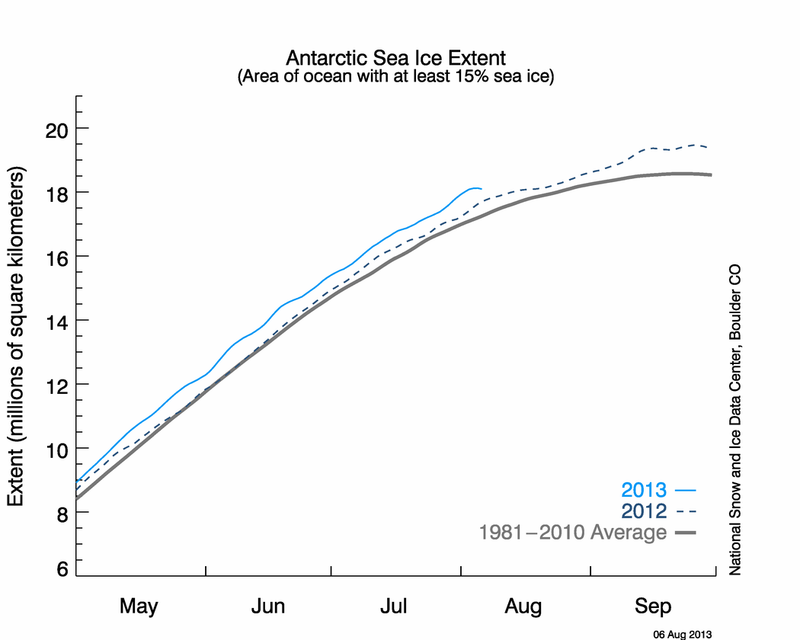 Global Warming Expedition Remains Trapped…”No Guarantee” Australian Icebreaker Will Get Through “3-Meter Thick Ice”! Browse: Home / 2013 / December / 29 / Global Warming Expedition Remains Trapped…”No Guarantee” Australian Icebreaker Will Get Through “3-Meter Thick Ice”! The online Spiegel here has a new clip on the ongoing rescue attempts of the “Akademik Shokalskiy” research vessel. Both a French and Chinese icebreaker have given up trying to reach the trapped 74 persons on board the vessel. Meanwhile Swiss news site TribunedeGeneve reports that an Australian icebreaker Aurora Australis is on its way and is expected to arrive Sunday evening. Ironically the purpose of the expedition was to replicate the route of Antarctic scientist Douglas Mawson of 100 years earlier and to record the changes occurring in the Antarctica due to global warming. Mawson’s base set up 100 years ago is located in a zone were able to travel at this time of the year, Tribune Genève writes. While Mawson’s crude ship managed to navigate to the continent, Turney’s modern ship has become trapped inside dense sea ice and now threatens to be crushed. But there is hope. Australian ABC news reports that “the pack ice seems to be opening up a little bit” and that there “are big cracks appearing way towards the horizon“. Let’s hope it crushes the ship so that they have to be helicoptered off. That way they can get lots of media attention for Global Warming. They are always telling us they do not communicate their story properly, this should help them do that LOL. They still have a way to go, the media is called out here for failing to spot the irony in the reporting of this story. One can wonder if this ignorant charlatan, Chris Turney, gives any thought to what DID not happen in 1912. Perhaps, sadly, and in Darwinian fashion. Those who choose to ignore all of the empirical data, and otherwise subscribe to the folly of venturing to the poles as being safe based on the hedonistic scientific reporting methods of the warmist agenda, may one day find themselves no longer relevant in time. In keeping with hedonic data manipulation, -135C temperatures measured by satellite are not relevant, because of course satellites are not very reliable or useful, that’s why there are so many of them deployed at great expense. The Australian icebreaker has had to back off becuase of inclement weather. Time to rethink their strategy . The alleged creacks around the bow of the expedition ship have closed ujp. Inclement wetaher is heading in again. Wind is blowing more ice into the bay where the edxpedition ship is trapped. The tourists are stating on the planning on how much they can take out with them on a helicopter. Let them walk to the edge of the ice sheet if they want to be rescued. Also make them fully repay any rescue costs.